pay the back taxes on it. help me purchase it, if the association would reimburse the both of us when sufficient funds became available. to enjoy, as well as a tourist attraction for the local economy. 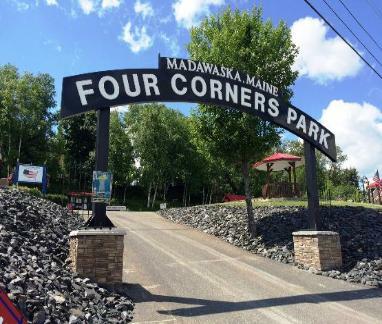 Madawaska is only around 3500, so that would be quite a task. him with the good news, he said proudly, “Joe, the check’s in the mail." wanted to build. Once the building was removed, the grounds prepared and paved, we had our new parking lot. with a clean handi-cap access restroom and store.